I need to start another block of the month like I need a hole in the head. But… this little guy is SO cute! It only took me about an hour to make the block. 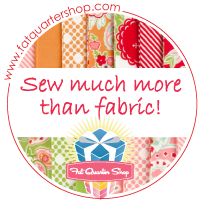 I found this blog, Quilting with Vanda, when I read a post from another quilter that I follow who is doing it too. The good thing about this particular BOM is that I don’t have to buy any fabric or patterns. The pattern is sent to me via email and I will make the blocks from my existing fabric stash. That’s a good thing right? I printed the pattern and then I scanned it into my Brother Scan-n-Cut and uploaded the pages to the Brother Scan-n-Cut Canvas in the cloud. The reason for this is to remove all the extraneous marks like size indicator blocks and pattern piece identifiers. If I don’t do this, the machine will want to cut them out. The canvas workspace is really easy to navigate and use. It has a ton of features that I don’t use because I’m not a paper crafter. In this image, all I have left to remove is the 1 inch square block. Now, there’s a step here I’m not showing. It’s hard to see but some of the pieces have open spaces in the shape. That’s to show that they go under something else. I used the draw tool (the one with the pencil) to draw a line to finish off the shape. If I didn’t do this, the cutter wouldn’t cut it out completely. Then I downloaded the images back to the cutting machine and cut them out with the push of a button. I LOVE that machine! I didn’t get a photo of the mat with the fabric ready to cut (sorry), but here are the pieces after the cut outs. I backed them before cutting with Heat-n-Bond Stretch. See how cleanly they cut? Did I tell you I love this machine? I have the Scan n Cut 650Wireless version. I’m not a fan of blanket stitching applique on a domestic sewing machine so I used my mid-arm sit down to stitch down all the pieces using a straight (ha ha) line. Now, it’s dang near impossible to get the stitching as neat and perfect as a domestic machine so I used a tactic I learned in my quilting class. Use repetition to hide mistakes. I stitched many times over a very uneven line to create a kind of child’s cartoon-y effect. I’m going to do this for each block in the quilt and I think it will be adorable! Can’t wait for the next block!